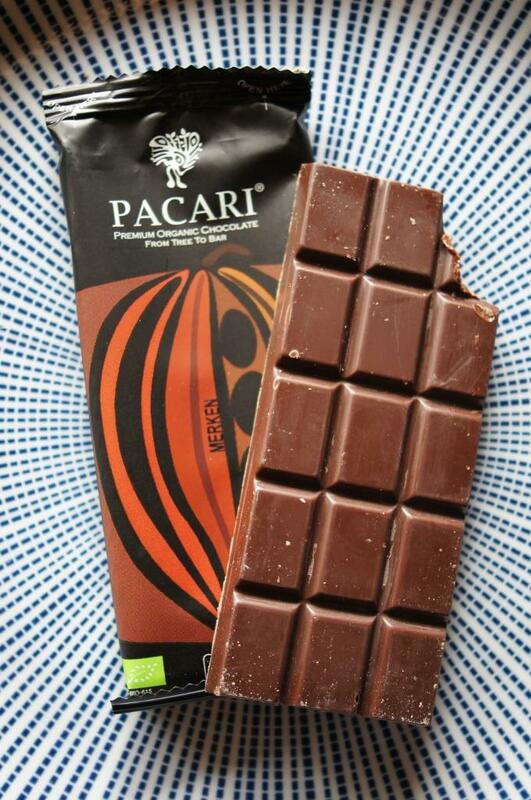 Chocolate with a very nicely mellow Cacao Arriba Nacional from Ecuador, and completely made in Ecuador. I feel like this has recently become a trend; in the world of chocolate, Ecuador is moving up. Strange about this version, how the salt included in the spice mix seems to make the sweetness pop rather too much for my taste. Very interesting that we have merkén, the Chilean (and actually, not nationally Chilean but ethnic-indigenous Mapuche) spice mixture of local chilli, coriander seeds, and salt in this bar. Salt-caused sweet tinge aside, the spicy note is very nice, aromatic and harmonizing with the mellow chocolate/cacao tones.